Tango 3 months old – Check out those ears!! At least they’re both the same. My Bug had beautiful ears as a puppy, then for some reason one stood straight up and has never come down! The unicorn look! With Leo, I felt like he was trying so hard to get his ears up that he went too far. At one point, they seemed to cross. OMG. I love the wonky ears! 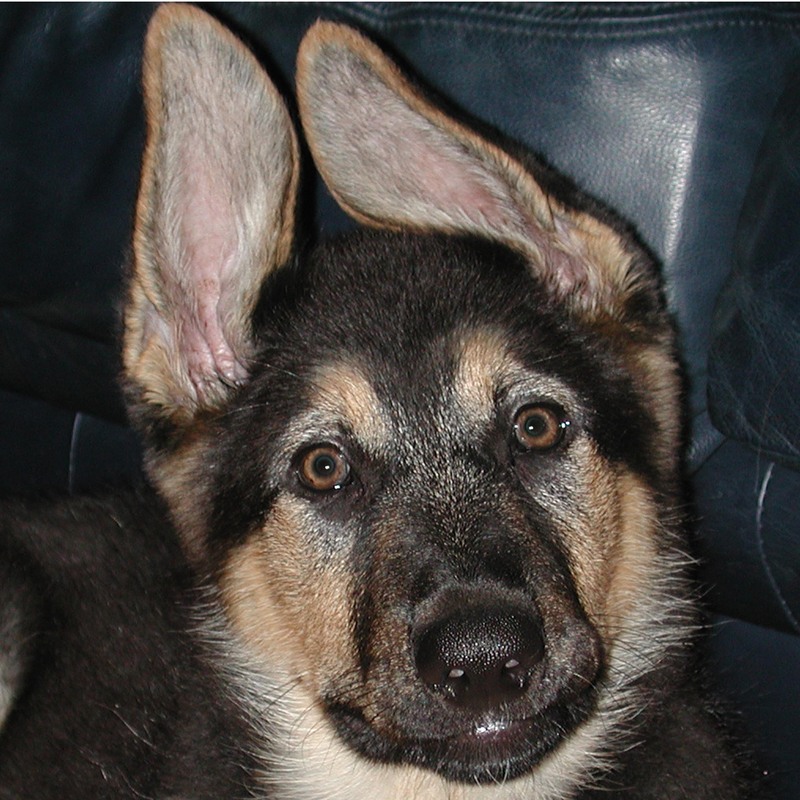 Jedi had a whole range of funky ear positions — the helicopter, one up/one down, and the one above we called “two drunk chicks at closing time.” I though Jedi’s ears would never stand up, but looking back at pictures, the wonky ear phase only a couple of months. And here i thought I was the ONLY one!! Love those ears!